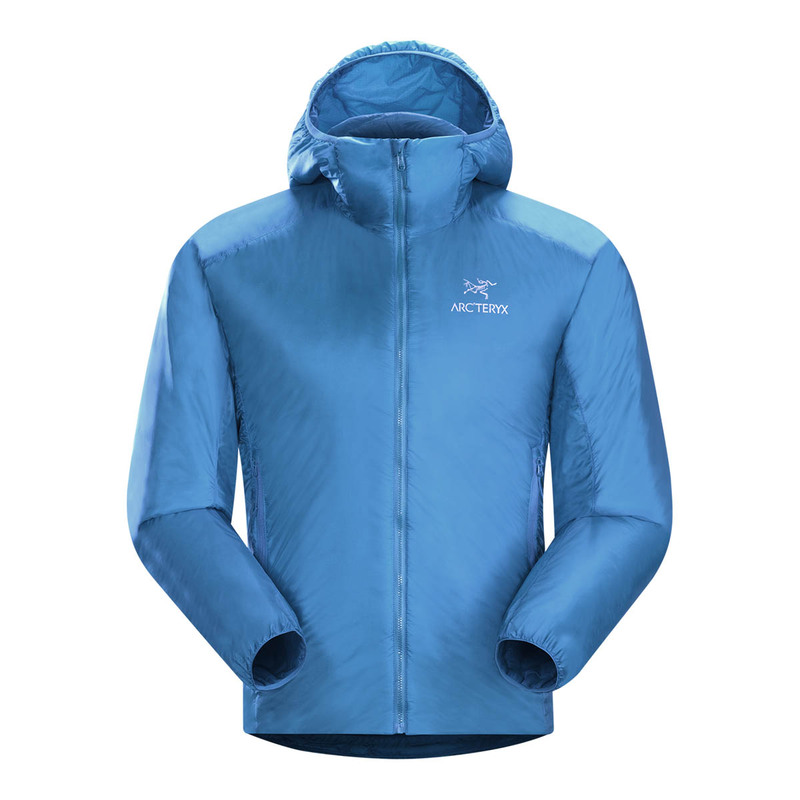 The Arc’teryx Nuclei FL Jacket is a strong, ultra-lightweight, highly compressible, weather-resistant down jacket, perfectly suited for alpine climbing. Weighing only a mere 290 grams, the Arc’teryx Nuclei FL Jacket is volume mapped for efficient and effective warmth, utilising loftier insulation in the body’s vital areas and lighter, more compact insulation in the sleeves and side panels to increase air permeability and mobility. This substantially removes bulk, and it means that this jacket can be packed to the size of a water bottle. A lightweight and highly compressible synthetic insulation. Made of staple fibres in mixed sizes that are crimped to trap air and retain warmth even in humid and wet conditions, allowing it to dry quicker if wet. A formulation designed to optimize the original DWR treatments on Arc'teryx GORE-TEX®, softshells, and windshells, enhancing their performance. What hasn’t Arc’teryx thought of? Strategically placed GORE® 8mm seam tape improves breathability whilst reducing bulk and weight. Premium lightweight taffetas with exceptionally high strength for alpine down garments, these fine denier taffetas provide remarkable durability, tear strength, and windproof properties.